There are many trends driving this development, including the fact that wellness programs are expanding to impact other areas of an employee’s wellbeing, such as their mental and financial health. Obviously, a biometric screening won’t contribute much to your understanding of these factors. And then there is the ever present reality that budgets are tight, and ROI in wellness can be hard to demonstrate and defend. So, screenings have found themselves on the chopping block. But here are three reasons why eliminating biometric screenings is both a shortsighted and ill-advised strategy. 1. Without screenings, you have no baseline and no way to measure progress. To launch a successful wellness program, biometric screenings are essential to understanding and measuring employee health status. The majority of the wellbeing risks most significantly affecting healthcare costs and productivity can be measured by blood. Without the data generated by screenings, employers have no formal mechanism to evaluate the health of their population, identify focus areas or measure the success of their efforts. You lose the opportunity to see what’s working, and it will be impossible to adjust programming as needed to meet the needs of an evolving workforce. How will you avoid wasting money on ineffective programs or know where to invest for the biggest impact without real, hard data? 2. Without screenings, employees will NOT know their numbers, or their risk. The truth is that most employees aren’t going to know their numbers without a worksite biometric screening. The number of primary care physicians is dwindling. Meanwhile, nearly half of 18-29-year olds report not having a primary care physician and are opting for on-demand healthcare options such as urgent care clinics and telemedicine. In light of these facts, you can't assume employees will have a relationship with a primary care physician. The bottom line is that most employees won’t participate in a biometric screening if an employer isn’t offering and incentivizing it. That means employees are less likely to catch health risks before they turn costly. 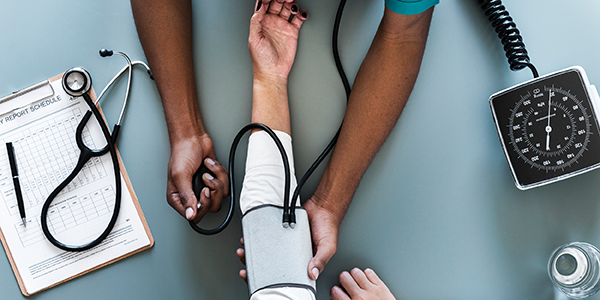 As an example, a recent study in the Journal of Occupational and Environmental Medicine study found that 68 percent of employees whose hypertension was discovered during a workplace biometric screening had no previous record of diagnosis or treatment. 3. Screenings provide an excellent "shot in the arm" for an organization's culture. Biometric screenings are a convenient and effective way to kickstart an annual wellness program, and a great way to support a culture of wellbeing in the workplace. They create a natural “event” or “starting point” for employees to enroll and engage with their health and wellbeing. It also sets the stage for clearly demonstrating the value you are placing on employee wellness while showing leadership support. There is almost no limit to what companies can do as a follow up to a screening, including team and individual activities and challenges, educational materials and events on a wide array of topics, even employee-facilitated wellbeing committees. The result, in addition to heightened employee awareness about their own health, is a company culture that supports and encourages wellbeing. At the end of the day, it shouldn’t be “if” an employer should screen, but “how” to screen. Depending on budget, workplace culture, specific wellness goals and other existing relationships, employers have a multitude of screening options at their disposal. Onsite, remote or in partnership with a physician network. Comprehensive panels through venipuncture, or a lighter touch fingerstick. Annually, or bi-annually. The right approach, coupled with a meaningful incentive, will result in the majority of an employer’s population completing a biometric screening at a cost that is more than worth the investment. Employers who are proactive and promote, incentivize, and advocate for employees to get their numbers checked throughout the year will see an overall cultural shift with: decreased health care/benefit costs (second biggest employee spend right behind payroll), decreased absenteeism, and increased productivity. Last, but definitely not least, they might also save a life by catching an acute or chronic health issue that might have gone undetected without a screening. Special thanks to our guest blogger, Haley Shaw. Haley is a wellness consultant, based in the Chicagoland area. Haley works alongside her clients Human Resource and benefits team to develop goal-oriented solutions to her corporate clients’ long-term needs and goals. Is your organization debating the value of biometric screenings? If so, the team at CHC would love to share additional information on how you can effectively structure screenings to maximize your budget while optimizing your approach to improving the wellbeing of your workforce.